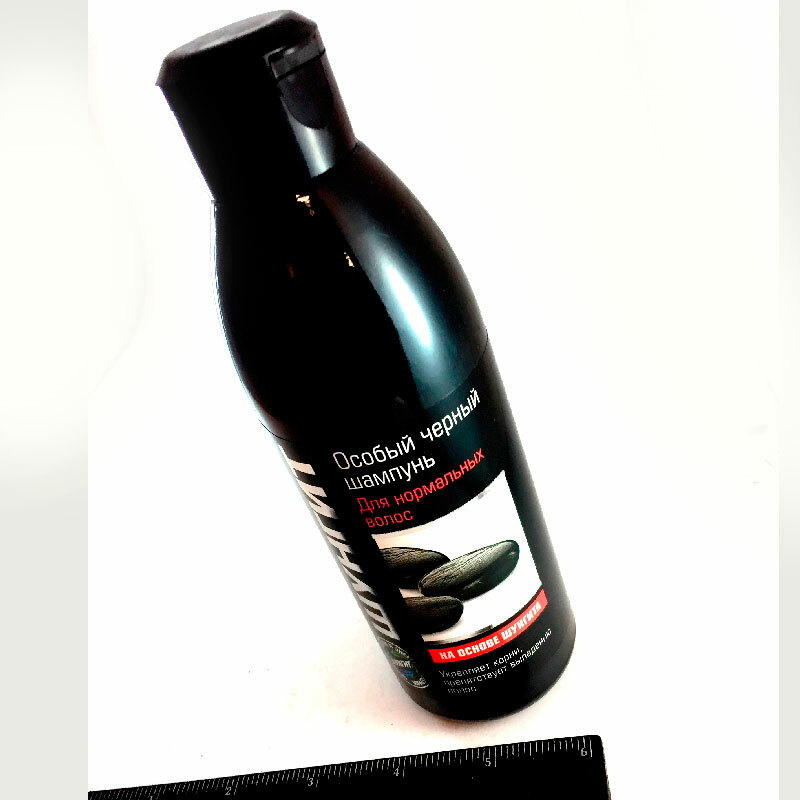 Special black based shampoo Karelian mineral shungite thoroughly cleanses hair and scalp, reduces hair loss and helps to restore the natural balance of the scalp and prevents dandruff. Highly Karelian shungite improves blood circulation in the scalp, saturate it with essential trace elements, strengthens hair roots. As a natural antioxidant that protects cells from the damaging effects of free radicals, preventing disturbance and loss of hair color. Shampoo is easily washed off and can be used for any color hair.